I remember someone posting a link to a story about a young lady on a motorcycle that was photographing and noting what she observed at the abandoned Chernobyl nuke plant area. Does anyone else remember that? My understanding the motorcycle part and the story part is fake but most of the pictures are real. That's primarily what I was interested in. I heard that the Chernobyl plant is once again becoming a threat because of the hasty job that was done while quickly attempting to contain it. For some strange reason abandoned buildings/cities interest me. On December 22, 1988 Soviet scientists announced that the sarcophagus would only last 20—30 years before it needed repairing. In 1998, with the help of the European Bank for Reconstruction and Development, a conservation programme was completed which included securing the roof beams from collapsing. Nonetheless the rain-induced corrosion of supporting beams still threatens the sarcophagus' integrity. 3,000 m3 of rain water are lodging each year, contributing to the possibility of the roof caving in. It was revealed that the water is leaking through the sarcophagus via holes in its roof, becoming radioactively contaminated, and then seeping through the reactor's floor into the soil. In 2013 the New Safe Confinement is expected to replace the existing sarcophagus. The new containment device will allow the sarcophagus to be dismantled and radioactive material to be removed. I stole this from Yellow Bullet. Here is a picture of a Core Barrel for a AP1000, it slightly different than what is in japan, but the build is basically the same.... It has to be pretty crazy to break thru this thing. 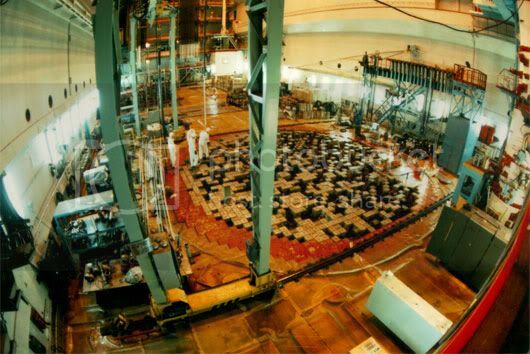 RMBK is the type of reactor used at Chernobyl. Note the complete and utter total lack of containment. Unbelievability there were even windows. Below that is the type of containment used at the Fukushima. So a Chernobyl type incident in Japan is impossible. There may be a large release of radiation but the fuel will not be released. Chernobyl had no containment of any kind. Fukushima has 3 levels of primary containment. The fuel rods are the first, the vessel is the second and a reinforced concrete area is the third. The building you saw explode was not part of the primary containment. I also am fascinated by abandoned things. The things cast off by Industrial societies interest the the most. Here are some sites I have found. Most of them were posted here. The fella that runs Urban Atrophy used to be a poster here. chance of AF over there! Very cool pics at some of those sites Marlin. I could roam around that abandoned Naval complex for hours. I remember reading about a guy that photographed an old Packard plant and later went back and salvaged/stole a bunch of the original hardwood flooring to recondition for his home. Aside from the legalities of it, that would be a cool topic of conversation when he has guests over. Very cool. Thanks for sharing. A guy I know bought an abandoned hospital and turned it into a sim house to run scenarios in. It was the creepiest place, but cool as hell. That's the first thing I thought of when I saw the classroom set up. Neat stuff, I'll have to check that out tonight. Always thought it would be neat to bomb around in a motorhome when I retire and check out those places like that. 1985 LTD LX, small truck motor, painted axle tubes, various mustang stuff. Is the latter picture out of a General Electric plant? 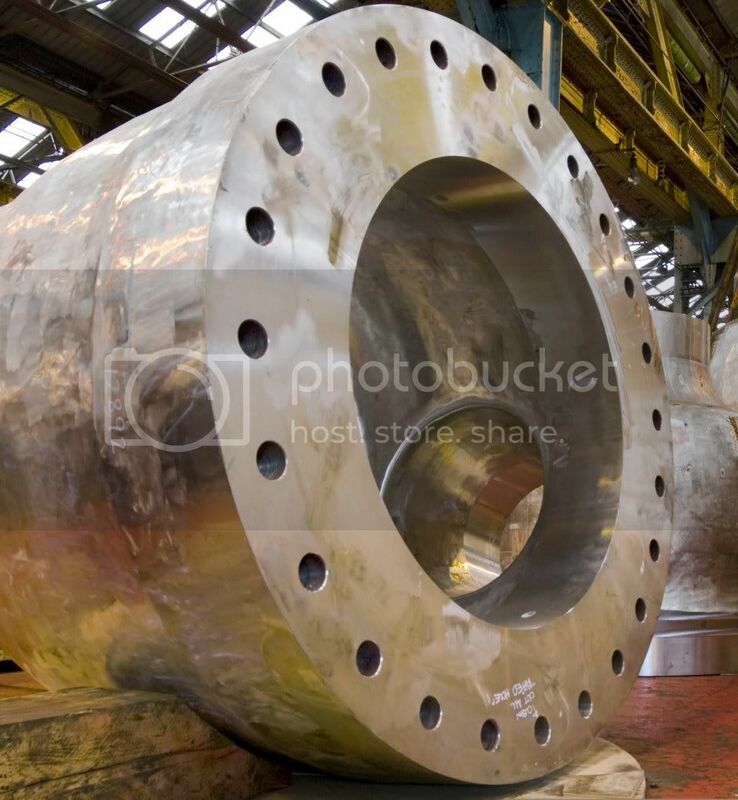 My stepfather worked for GE once and he said they were fabricating reactor vessels out of 14" plate. That's Modern Warfare 1 btw. What I can say is that down in Oak Ridge, TN within the confines of the Y12 complex has some simply amazing buildings that are abandoned and from the time of the US learning how to split the atom. Parts are so hot they are sill walled off and instruments go nuts when you a good distance off, some are cool enough you look in the room briefly through giant feet thick windows. Others are safe enough to walk through but has the instruments and vessels from long ago. It is eerie and amazing to be in those buildings.